"With just 22 years of age, she..s already released tracks and remixes on Global Underground, Acute, Pure Substance, Polytechnic Recordings, Carica Deep, Off Side, The Sessions, Augenring Records, Opendecks Records & Lake Effect Recordings. Hernan Cattáneo has charted her tracks and featured them in his weekly radio show "Live From London". She..s been getting awesome support from local and international top djs such as Martín García, Deep Mariano, Guille Quero, Oliverio, Baunder, Clubbervision, Nick Hogendoorn, Cassino & Laben, Mike Brin & Manuel Sofia aka MOS among others. Her track "Beauty Goes Blind" was included in Nick Warren..s 2008 Global Underground 035 Lima Complilation. She..s had plenty of gigs in Buenos Aires in places like Pacha, Big One, Mint, Shamrock & Middawn, as well as other argentine cities and provinces such as Córdoba, Santa Fé, San Luis, Mendoza, La Plata, Mar del Plata, Tucumán & Bahía Blanca, sharing booth with Pole Folder, Kyau & Albert, MOS, Deep Mariano, Baunder, Damian DP, Dj Paul, Dartek, Darioef, Logiztik Sounds & Gustavo Di Tomaso. 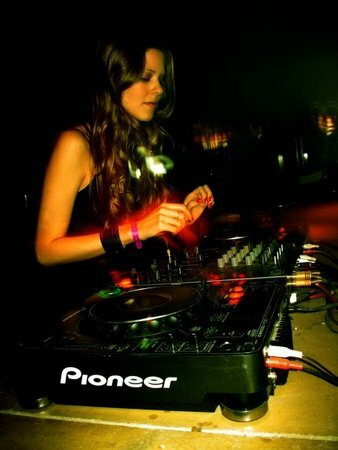 2007 & 2008 saw her travelling extensively throughout Latinoamerica, playing in México (Rioma – DF), Brasil (Lique), Bolivia (Earthdance – La Paz, Springfest – Cochabamba), Colombia (Cinema – Bogotá) & Venezuela (Deep Club – Caracas). She..s been featured as a guest dj in shows on Proton Radio (Canada), XTC Radio (London), Plur (Mexico), Dance Radio (Greece), Tribal Mixes (USA) & Frisky Radio (USA - Dj Mag..s top Internet Radio 2005). Presently, she hosts a show on Frisky Radio called Melting Range, where she had top caliber guests such as Manuel Sofia aka MOS, Cassino & Laben, Nick Hogendoorn, Guy J, Baunder, Jason Jollins, Anna Maria X, Clubbervision, Chloe Harris, C-Jay, Sam Ball, Patch Park, Baudelaire, ONNO, Soundexile, Henry Saiz & John Dalagelis to name a few. [BAIRES007] ''Santiago Garcia - Needing Rest'' Out Now!!! MCast Sessions on Proton Radio #044 with AK: Monday, July 18 @ 4 PM EST ENCORE! Warren on Transitions this week ..
Balance 018: NICK WARREN !!! All times are GMT -4. The time now is 10:25:20 PM.